Our old farmhouse front door really needed an update. The cheapest way I could do that without getting a new door was to paint it. I used “sundried tomato” from Sherwin Williams since I wanted a red/maroon colored door, and I loved the way that color looked as a back splash in my kitchen. First I painted the yellowed trim with Glidden white paint at Walmart. 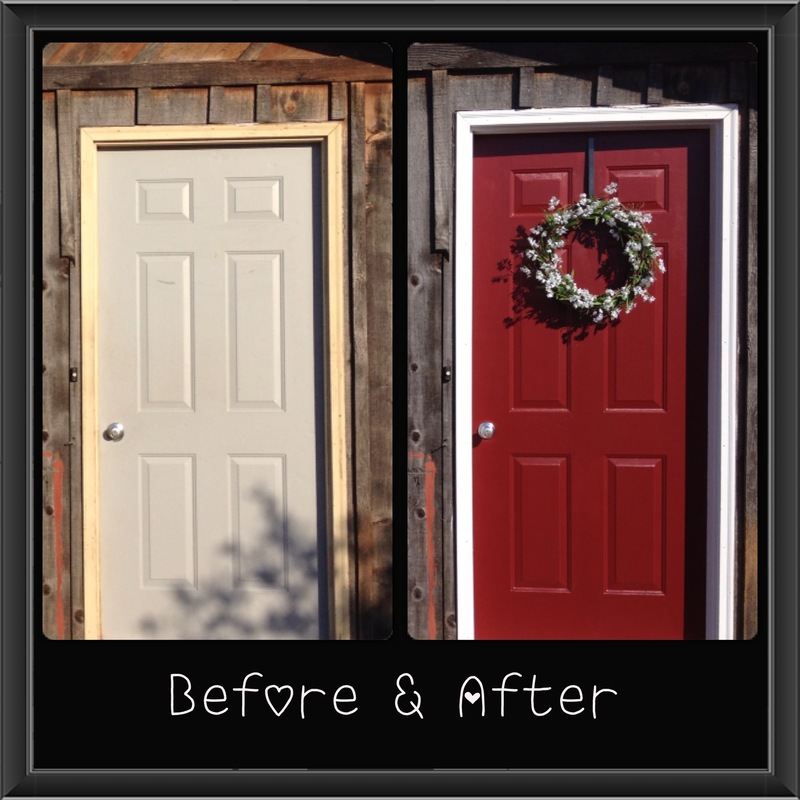 After that dried, I used a small roller and painted the front door. It looked pink after the first coat with the red on the white. After another couple coats with the roller, I decided it wasn’t working out, and I broke out the paintbrush. 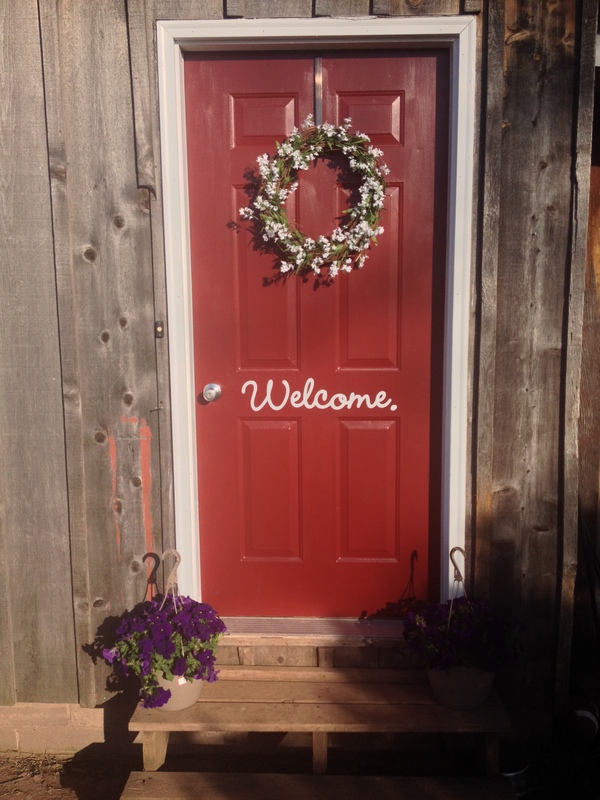 To take the door just one step further….I went onto etsy.com and found a vinyl “welcome” sticker (below). It’s made for indoor/outdoor use, and should last 7 years outside. It just adds that little something extra. I love it! It’s inexpensive, but just make sure you measure the space you want to put it first to make sure it will fit! I hope you get inspired to DIY something of yours! !